Bobux are my absolute favourite kids footwear brand and have been for a couple of years now. We have been lucky enough to work with them a few times in the past but have also bought from them ourselves, as we love them so much. 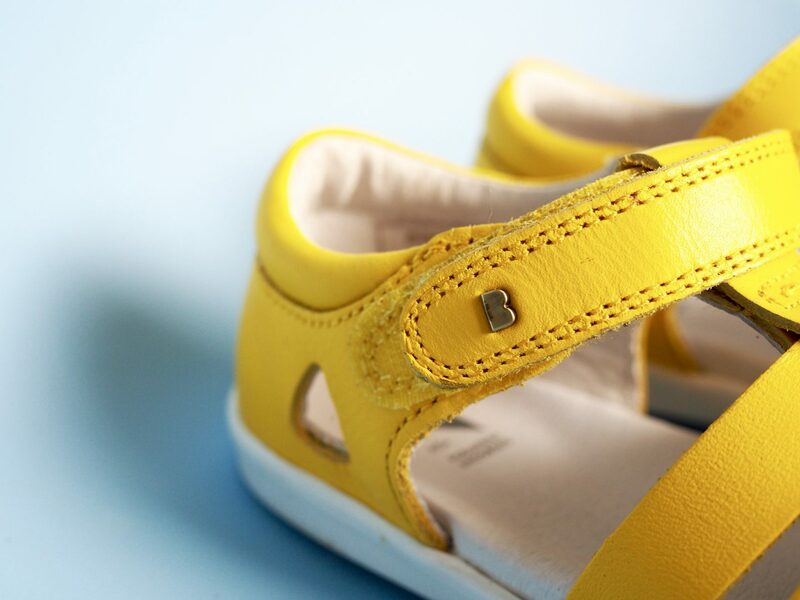 Not only are their shoes comfortable and hard-wearing but their designs are stylish too. Bobux are a New Zealand brand which was started back in 1991 by Chris and Colleen Bennett. 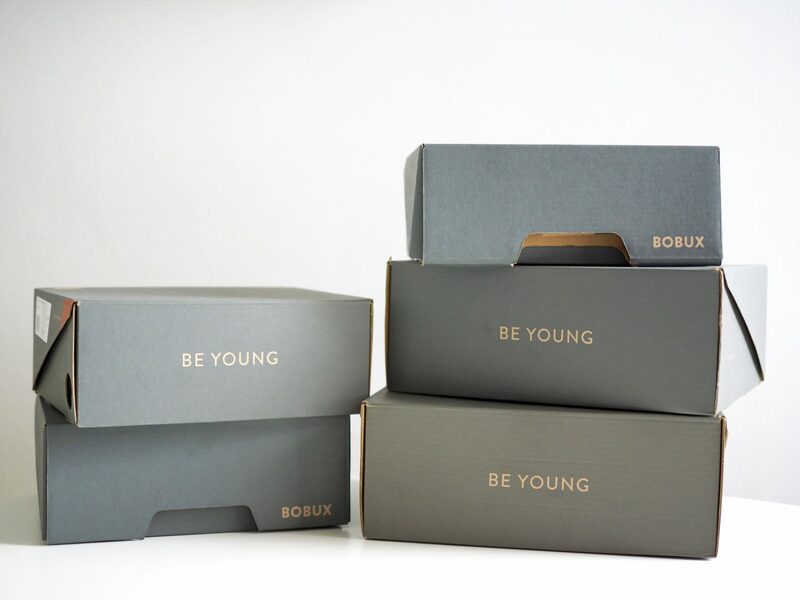 Bobux create shoes that are not only on trend but good for our children’s feet too. 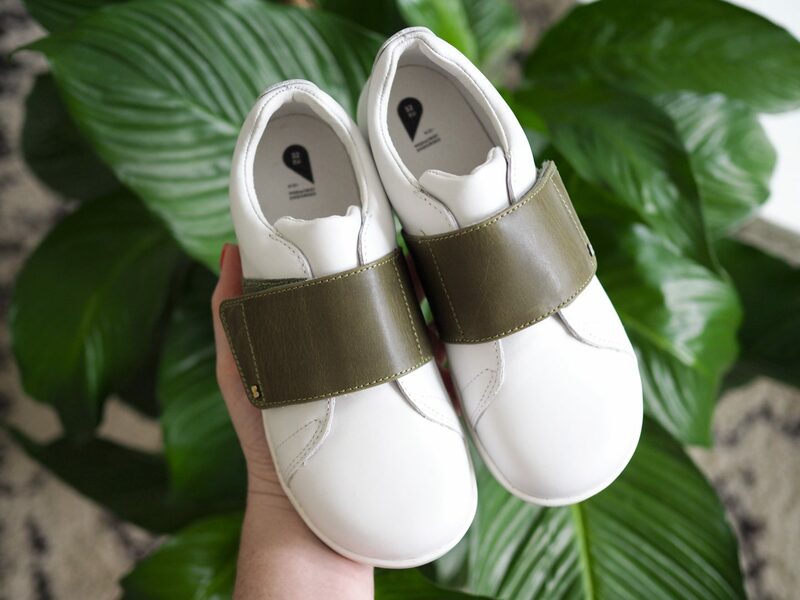 They are constantly striving to learn more about healthy foot development and using this knowledge to design kids shoes that are genuine objects of desire for mums. 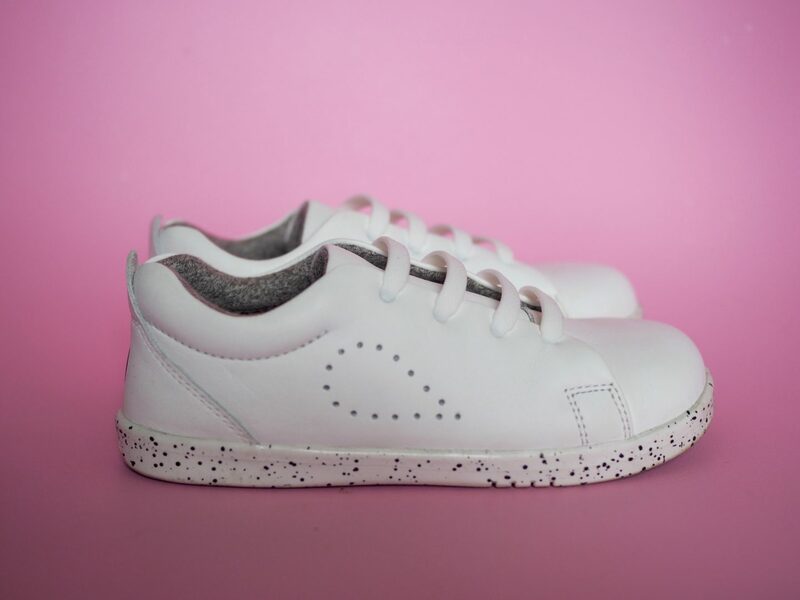 Bobux shoes range from newborn all the way up to a UK size 1. 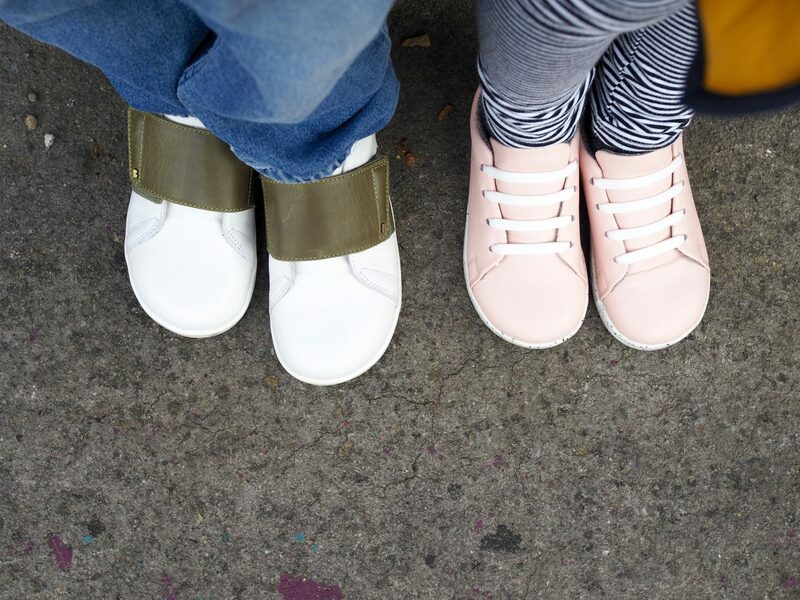 They are split up into four different size categories – Soft Sole for newborn & prewalkers, Step Up for first walkers, I-Walk for toddlers and Kid + for bigger kids, which is what my two are in. 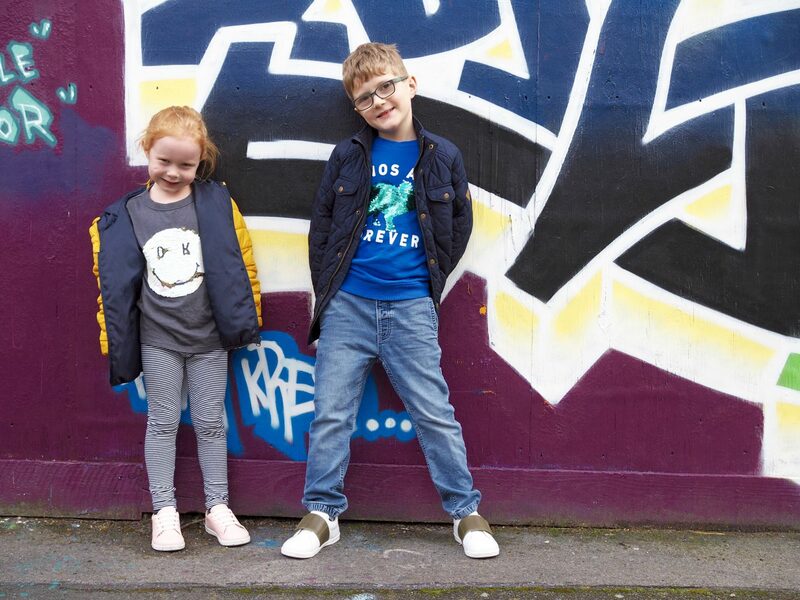 The new SS19 range is full of exciting new styles and colourways and vibrant colours, which is of course right up my street! They’ve also introduced a Quickdry range which is made of a unique fast-drying leather that won’t stain or lose shape after contact with water and they dry to the touch in less than an hour. Sounds perfect for summer beach days, right? First up, I went for a pair of white Grass Court trainers for both Max and Evie. I love the simple yet stylish design and contrasting speckled sole. They feature silicone laces which means that they are stretchy and easy for kids to put on by themselves. They do also come with a spare pair of standard laces, just incase you want to swap them over. I also went for the Grass Court trainers in pink for Evie, which she loves. She doesn’t tend to wear much pink usually but we both really loved this blush pink shade, which is nice and subtle. They are available in lots of other colours, including gold and silver which I absolutely love and am very tempted to buy. I went for the Boston trainers in white and olive for Max as we both really liked the colour. 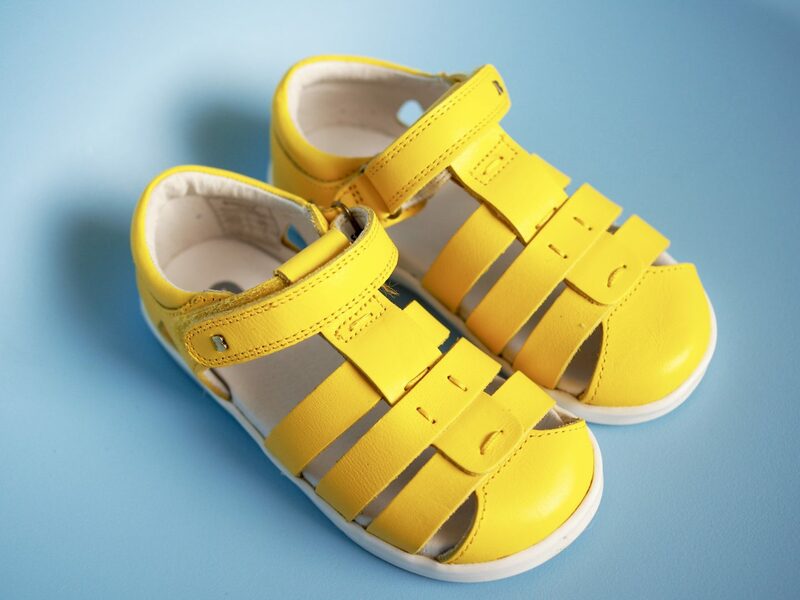 These also come in red, ink and chartreuse, which is a gorgeous mustard yellow colour that’s great for both boys and girls. 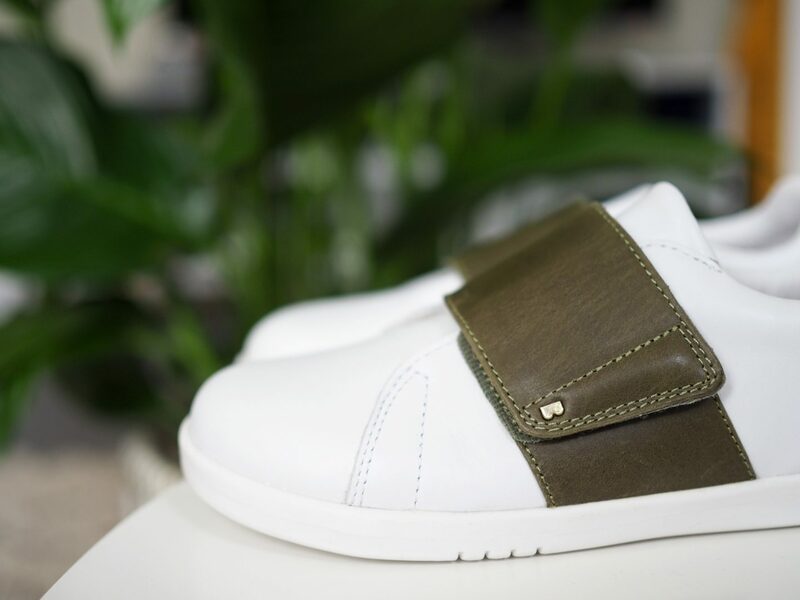 The Boston trainers feature a contrasting wide velcro strap, which provides comfort with an easy, secure fit. The Tidal sandals are part of the Quickdry collection that I mentioned earlier. They are perfect for summer as they don’t lose shape and are dry to the touch in just 20 minutes. 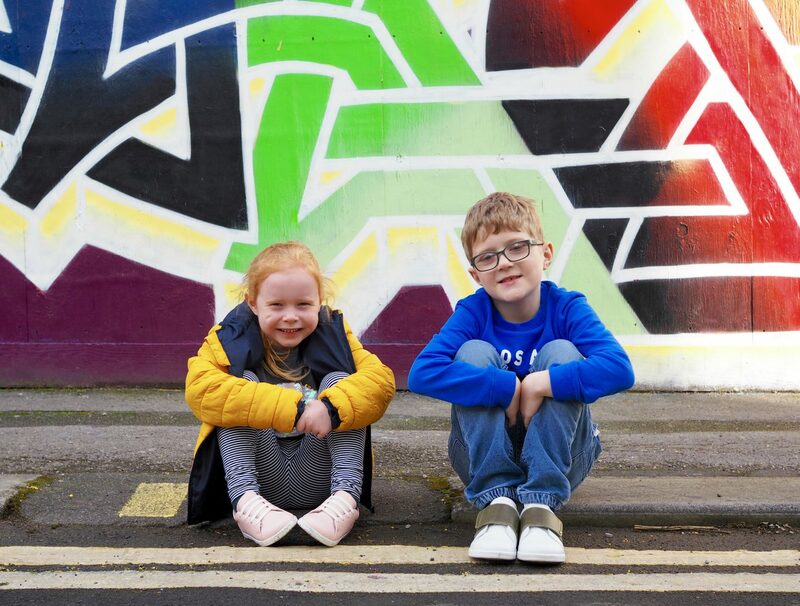 A massive thank you to Bobux for sending the kids these new shoes, they love them and I know they will get lots of wear over the coming months. Have you checked out the Bobux SS19 range yet? Which style is your favourite?